Susan Ott Rodberg is a National Board Certified Teacher in Early/Middle Childhood Music/Orchestra. She earned a bachelor’s degree in Music Education from Otterbein College in Westerville, Ohio, where she majored in violin and minored in cello. After graduation, Rodberg began a 10-year study of the Suzuki Method. 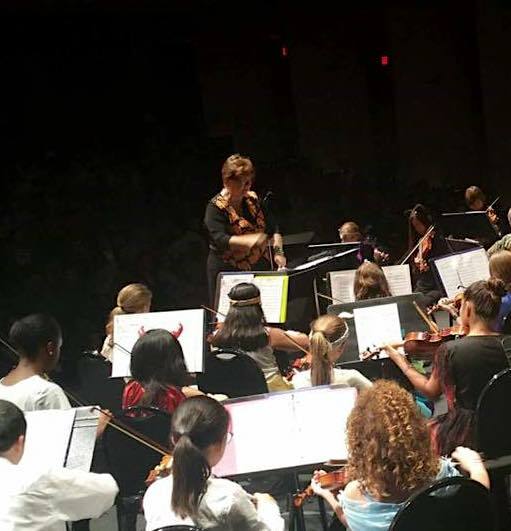 She has extensive experience teaching orchestral strings to people between the ages of 2 and 92. She is a member of the American String Teachers Association. In 1993, she was invited to teach at the former Palm Beach County School of the Arts, now known as The Bak Middle School of the Arts and the Alexander W. Dreyfoos High School of the Arts. She then became a full-time teacher at the U.B. Kinsey/Palmview Elementary School of the Arts. In 2007, Rodberg joined the YOPBC faculty in her current role as conductor.